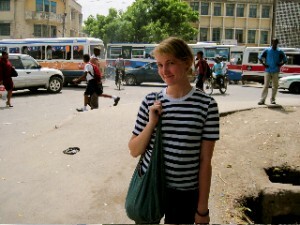 Jessy Cawley, a Civil Engineering major, participated in the CIEE Tanzania program in 2009. I studied in Dar es Salaam, Tanzania during the Fall and Winter terms of 2009. Dar es Salaam has a population of almost 2.5 million people. As months passed, I explored more and more of the city, visiting another mtaa, or neighborhood, and the anxious bustling somehow transformed into a vivacious tranquility. The first time I rode on the public transportation, a small bus called a “dala-dala”, Beyonce was booming from the stereo and school children navigated on and off the stops wearing their cute blue and white uniforms. I’m continually grateful for my time there. The University of Dar es Salaam is similar in size to our own Oregon State University. I’ve often reflected on my time there. You never know what you’ll learn before you leave for a great adventure to a new place. With every new person/place/circumstance abroad, I learned so much about my own culture and perspective because of the differences and similarities. 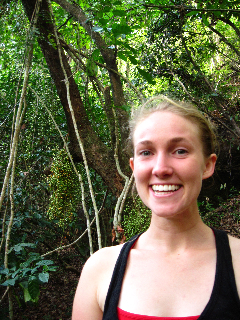 I can’t describe the things I’ve learned since going to Tanzania or the things that I’ve observed since returning. If our daily lives were a radio, I somehow have picked up many more stations than I could have tuned into before. I imagined I would learn a lot about other cultures and share my own, and I did. I really learned a lot about American culture, and I also watched my views on race, poverty, health, and religion evolve in different ways. I refuse to claim I now understand the whole picture, but a lot of stereotypes dissolved. I really encourage all students to study abroad in Tanzania or anywhere you feel lead to go. Also, I really encourage other students to meet the international students on our campus because we, the people of the world, really affect one another in good ways. Posted in CIEE, College of Engineering, study abroad, Tanzania. 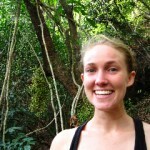 Karin Bucht, Environmental Science and International Studies Degrees, is spending Fall 2010 on an SIT study abroad program on biodiversity in Madagascar. The following is an excerpt from her own blog. So I’m back in Antananarivo, the capital for the next week. Since Tulear; we road tripped through Madagascar, visiting several different Parks and protected areas. The first place we stopped was Isalo National Park, which was incredible, even though a large portion had been burned several weeks before by an out of control brush fire. The rocks and the views were incredible. groups of about 20. Being a community managed protected area, the lemurs here have never been hunted by locals and are very accustomed to humans. 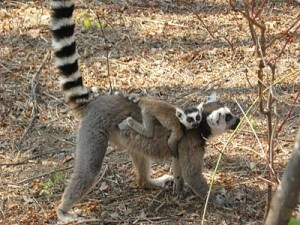 So when we did our circuit tour, we found ourselves in the midst of a group, with lemurs passing overhead. 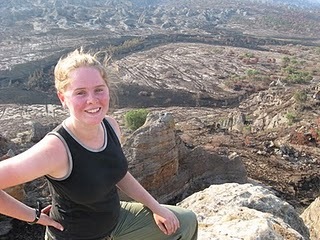 The hike also included some great views, but the lemurs were definitely the highlight. It seems pretty incredible to find lemurs here more approachable than they were at a private reserve (called Berenty) that we visited in the south. I’m still in Tana now, enjoying a reasonably fast cybercafé and getting lots of practice with the french keyboard. Veloma! Posted in College of Science, Environmental Science, International Degree, Madagascar, study abroad, University Honors College. From IE3 to a PhD! 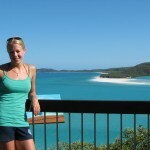 In June 2008, I flew to Coffs Harbour, Australia to intern at the National Marine Science Centre (NMSC) as a Research Assistant to two professors, for six months. One of the research projects involved diving the reefs for monitoring projects and the other was a lab-based climate change research project. Within the first few weeks of my internship, I came to realize the diving project was never going to happen. Disappointed by the turn of events, I turned lemons into lemonade and devoted my time to work on the climate change research project. To my complete surprise, I thoroughly loved the nitty-gritty lab work. 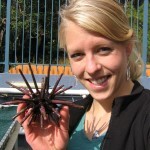 My supervisor and I went snorkeling at least once a week to collect sea urchins and ran experiments that sometimes ran late into the night. I was in charge of the lab and monitored the experiments and animals every day. In December, NMSC paid for me to go a scientific conference in Sydney where I listened to world-renowned scientists talk about their research. Needless to say, when my time was up at NMSC, it was hard to leave! Upon my return to the U.S., I had new passion for marine biology and climate change research. I remained in close contact with my supervisor in Australia about the status of our experiments and the results. As I neared graduation at OSU, I decided I wanted to continue similar research in graduate school. My relevant research experience at NMSC gave me the passion and the scientific background I needed to skip a Masters program. Now, one year after my return from Australia, I have been accepted to a Ph.D. program at the University of California Santa Barbara starting in fall 2010. 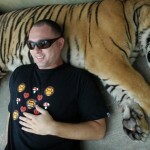 My IE3 story is one of complete success. I chose the IE3 program simply because there was a marine biology internship available in Australia, and I thought an internship would help me figure out my future. Little did I know, or expect, that the cancellation of the diving research project would benefit me and put me directly on the path towards a PhD. IE3 has been an invaluable experience both academically and travel-wise. To those students debating international internships, I say: DO IT! The benefits may stretch well beyond your expectations! Posted in Australia, College of Science, IE3 Global Internships. 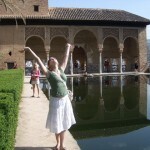 Education Abroad and Funding: What you should know! So you think going abroad would be cool, but there’s no way you can afford it? Before you make that decision, be sure to check out the facts! Fact one: What’s the bottom line? How much will your time abroad cost? You can get a budget estimate through your program provider online and/or from your study abroad advisor! Be sure that budget includes big things like flight and insurance as well as day-to-day expenses like local transportation and laundry. Now you have a final cost. If this is the program and location for you, let’s look at the other facts. But if it’s more than you want to pay, how about looking at other options? Is there a cheaper program in the same country, or another country that would work? Fact two: Financial aid can help! Because you are an OSU student going on an approved OSU program, you will be eligible for financial aid just as you would here on campus – with one key difference. We’ll pass your study abroad budget on to the Financial Aid office. If your program costs more than regular OSU attendance, and you haven’t already maxed out your aid, they can offer you options to help meet the cost! But you can’t get financial aid unless you file a FAFSA. So make sure to file it as early as possible to get the ball rolling. And don’t fear loans. If you’re committed to making it happen, have a plan in place…and if you happen to get scholarships to replace the loans, so much the better! And that brings us to our final fact. Fact three: Scholarships are out there. There are scholarships available from a variety of sources here at OSU, as well as private organizations, and even the federal government! These range greatly – from $500 to up to $20,000. As you can imagine, some of these scholarships are highly competitive. In general, there are more scholarships available to students who can demonstrate severe financial need, those in non-traditional study abroad majors (such as science or engineering), and/or those going to non-traditional countries (outside of Western Europe and Australia). By going off the beaten path, you may be able to find less expensive opportunities with more scholarship money available. In addition, many scholarships or program fee reductions are available for students who choose to stay for an academic year versus a term/semester. Many scholarship deadlines will come up around 4-6 months before you go abroad, but some are more than a year in advance. Be sure to start looking early! Fact four: It’s worth it! An experience abroad is an investment in yourself, as well as your future. You can gain wonderful personal and professional skills by studying or interning abroad (cross-cultural communication, independence, adaptation, creative problem-solving, self-confidence, and more!). Beyond these specific skills, an experience abroad is truly a life-changing experience. Do it – it’s worth it! Posted in IE3 Global Internships, Scholarships, study abroad, Uncategorized. OSU Celebrates International Education Week 2009! We are pleased to announce an exciting International Education Week! International Education Week is observed across the United States and around the world each November, the week before the US Thanksgiving holiday. This celebration was founded in 2000 as a joint initiative of the US Department of State and the US Department of Education in their efforts to promote programs that prepare US Americans for a global environment and attract future leaders from abroad to study, learn, and exchange experiences in the United States. Here at OSU, we have nearly 20 events happening to celebrate this important occasion. The week kicks off with an special keynote speech from OSU’s own International Service Award recipient and Anthropology professor, Sunil Khanna. Sunil will be speaking on the topic of “Global Encounters: What is it like to live and learn in the unfamiliar” on Monday at 2pm in MU 206.
or for specific majors, like studying engineering abroad! We’ll also hold workshops on international careers, study abroad scholarships, and the International Degree. We’re also proud to celebrate the international atmosphere we have right here on campus! The department of Foreign Languages and Literatures will host a film festival every night of the week in Owen Hall. INTO OSU will feature an open house & fair on Tuesday evening in the newly renovated Heckert Lodge. University Housing and Dining will be cooking up a “Taste of the Mediterranean” at Marketplace West on Wednesday evening. There’ll even be a Dance Party with DJ Arndt Peltner of Radio Goethe at Club Escape that night! No matter what your tastes, we’ve got something for everyone. Check out our schedule – we look forward to celebrating with you! Posted in Iceland, study abroad. Because understanding a little bit more about the world can take you further, literally and figuratively! ID graduates have benefited both personally and professionally from the degree. They know their way around the library, but are just as comfortable wandering the streets of Paris or Beijing! They have friends all over the world and love to hang out with the international students here in Corvallis. They develop significant relationships with faculty members here at OSU and abroad. 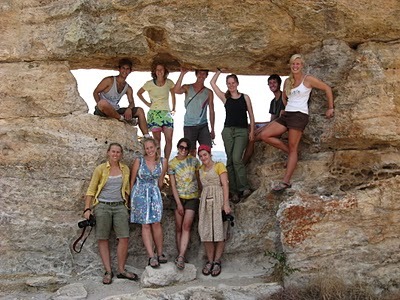 They learn to dive in the Galapagos, job shadow doctors in Tunisia, climb mountains in the Andes, walk the Great Wall of China, work with at-risk youth in Chile, analyze biofuels in Spain, or go to music festivals in Costa Rica! In short, International Degree students want to know the world, and take steps to do just that. They reap the benefits of the degree in graduate and professional schools, as well as in careers in Oregon, the US, and the world! 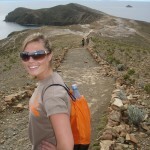 To learn more about the degree, see the ID website at http://oregonstate.edu/internationaldegree. Why earn an International Degree? Because understanding a little bit more about the world can take you further, literally and figuratively! ID graduates have benefitted both personally and professionally from the degree. In short, International Degree students want to know the world and take steps to do just that. They reap the benefits of the degree in graduate and professional schools, as well as in careers in Oregon, the US, and the world! Posted in International Degree, Uncategorized.